As an elected official, I plan to implement more grocery businesses in southeast Raleigh. 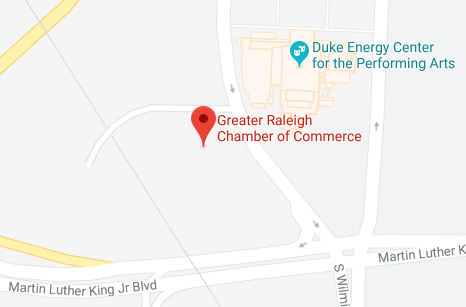 Not only will this bring a healthy business competition to Raleigh, which will, in turn, decrease prices for the community, but it will also provide more food options for Southeast Raleigh, as it has been named a food desert according to the US Department of Agriculture. This will decrease prices, increase competition, and provide more jobs in one of the lowest income districts of the city. The new UDO put in place a few years ago revamped some concerns that residents had. One aspect that could be improved is the prohibition of food trucks in NX zoning districts. Food trucks are an important part of the city’s small-business community. I believe by allowing limited permits to food trucks in this district would continue to let small businesses grow. My top priority would be equitable development. This includes focusing on affordable housing, public transportation, and income mobility. We are an attractive city, and developers are able to thrive when they choose Raleigh for new projects. The city can work with developers on projects that benefit the entire community and plan ahead to ensure we are able to afford to live in the city we call home.When everyone has access to necessary resources and the opportunity to prosper, our economy will continue to truly flourish and rise to greater heights. I would look into reducing the amount of money spent on cemeteries which had a 36.7% increase from FY17 TO FY18. The city could, also, reduce spending for the general fund to pay for some the increases in spending. I would increase spending for Housing & Neighborhoods and increasing city worker's pay. We need to ensure that the people who serve the city are able to afford to live where they work. Gentrification is an uncomfortable truth about Raleigh that is not getting enough attention. Resources are being put towards expanding the city, but should instead be allocated towards preserving Raleigh. Southeast Raleigh in particular is not receiving the support that it needs, and residents are being pushed out of the city due to rising housing costs. We need to invest in our community before we expand it.